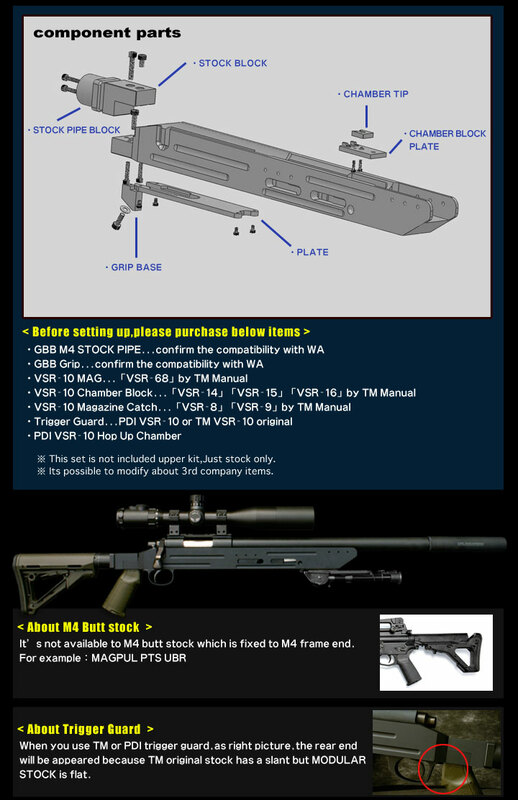 explanation. 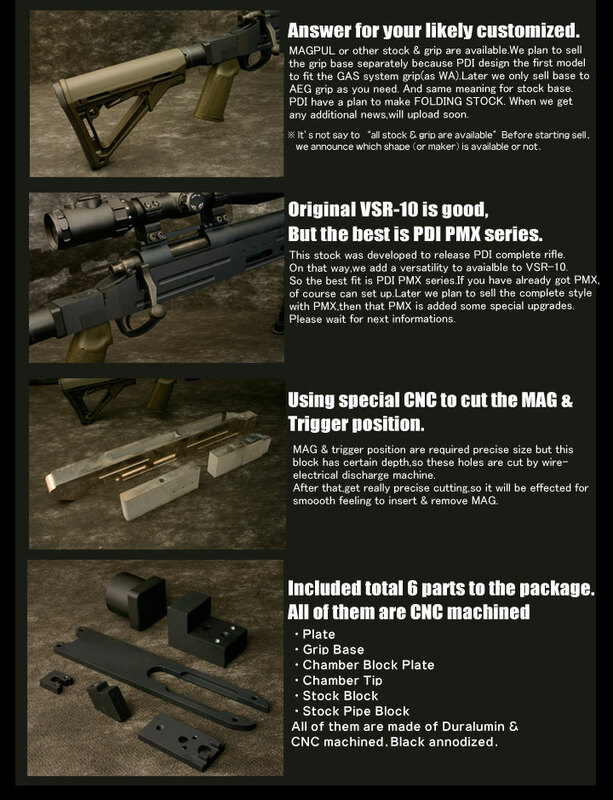 PDI take 1 year to develop this srock. 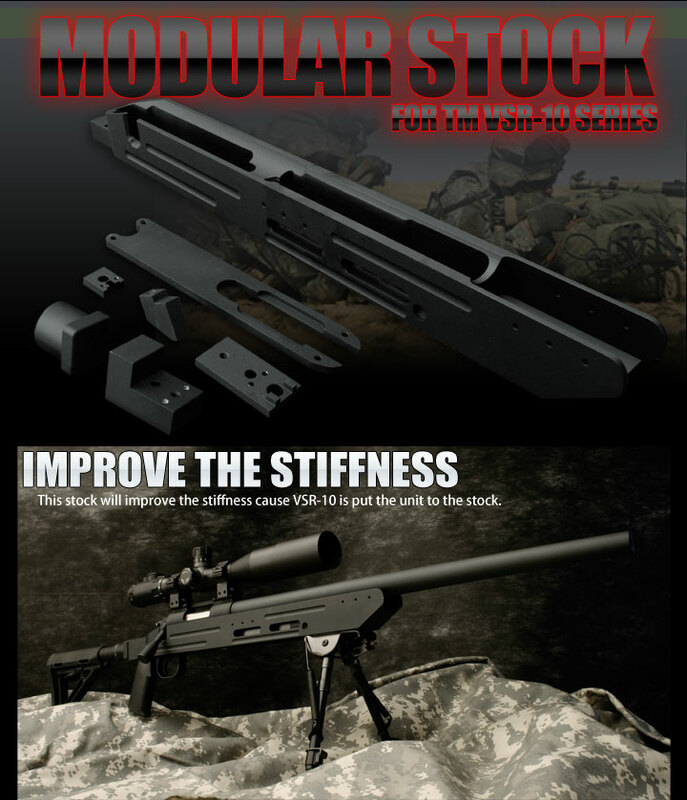 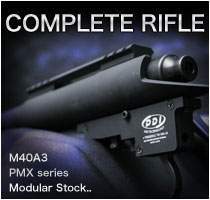 PDI have known many plaer wantgood stock for VSR-10,so started to reserch information, at US SHOTSHOW,PDI chekced a lot of real stocks. 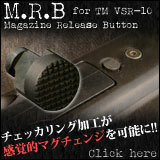 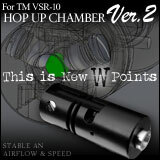 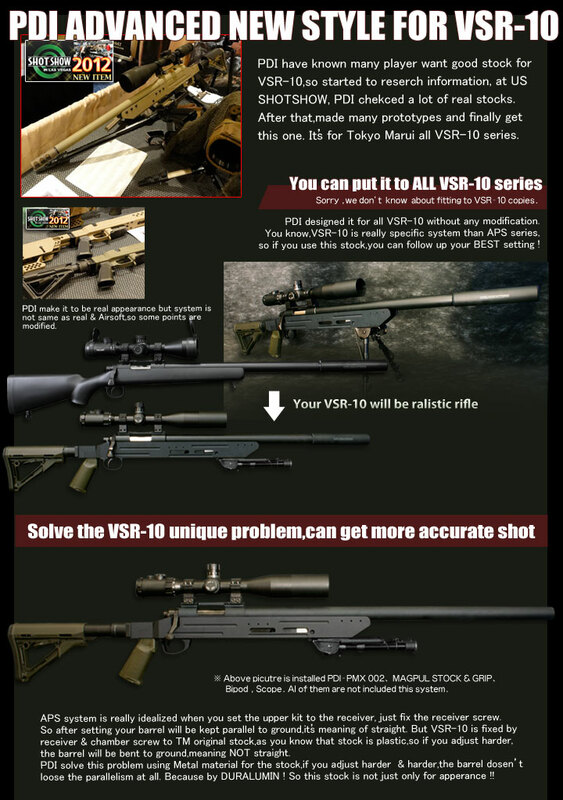 After that,made many prototypes and finally get this one.It’s for Tokyo Marui all VSR-10 series.! 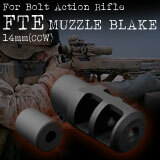 Selected Duralumin, all CNC machined. 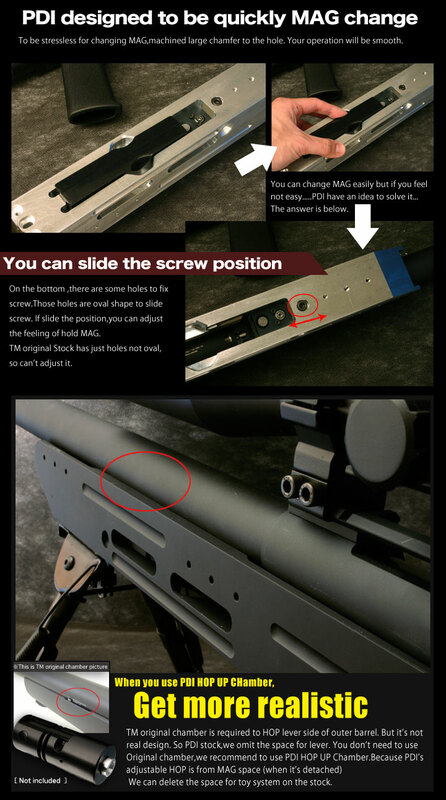 Processed mat BLACK anodization.PDI arrange the all hole to “OVAL hole”for fit the screw for adjusting serious tolerance as the position of MAG(cause MAG position is decided up to angle stop the outer barrel when screw to the receiver) The appearance is based on the real firearms.Also you can put MAGPUL grip or stock to your VSR-10.Of course not MAGPUL is OK.Your VSR-10 is no more VSR-10 ! 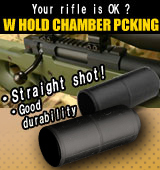 About this product. 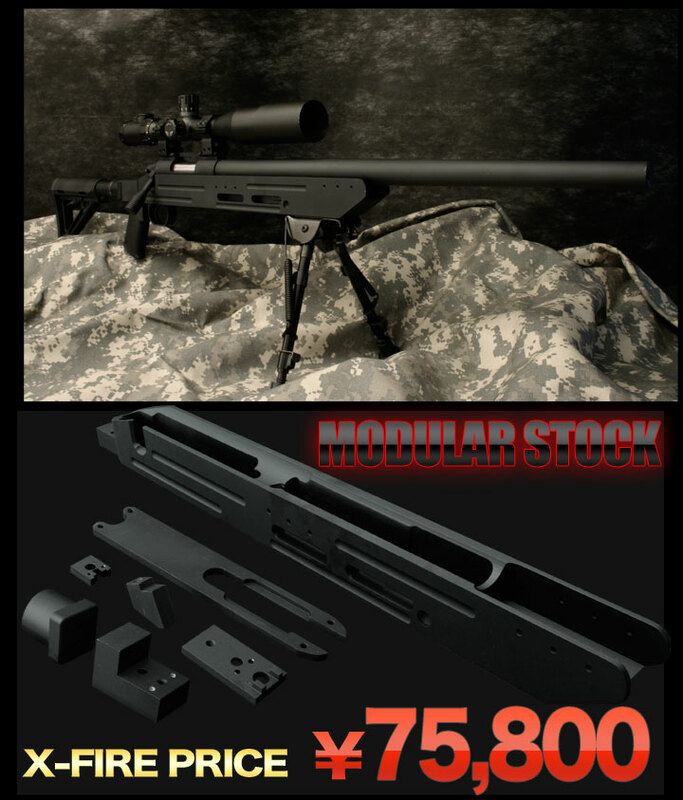 ※ This set is not included upper kit,Just stock only. 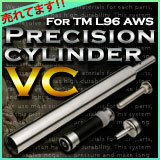 ※ Its possible to modify about 3rd company items.